According to the National Development and Reform Commission, the nation's top economic regulator, total trade volume between China and the countries and regions involved in the BRI have exceeded $6 trillion. The nation has already signed 171 cooperation documents with 29 international organizations and 123 countries. During this process, Chinese private firms are also bringing advanced skills and management expertise to BRI economies. 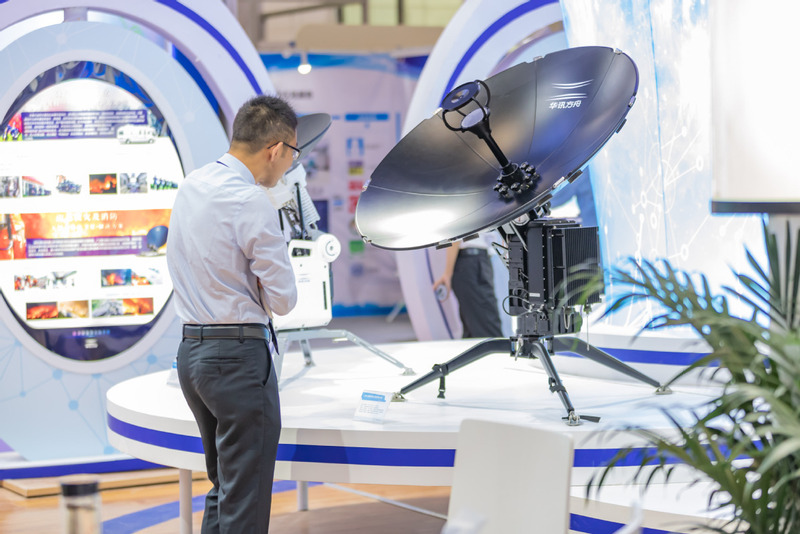 China Communication Technology Co Ltd, a private provider of satellite services, started offering private satellite services to the Philippines from last year, after acquiring G Telecoms Inc, the third-biggest telecom operator in the local market. "In the past, we could cooperate only with local telecom carriers in foreign countries through equipment sales. But with the BRI, we are changing our profile from a 'seller' to an 'operator' in the overseas markets," said Wu Guangsheng, president of CCT. Wu said that some 75 percent of the Philippines' 100 million population are aged 25 years or under, thereby having a voracious demand for communication services. The Shenzhen-based company is currently offering services and products in Europe, the Middle East and nine other countries and regions that are participating in the BRI. It has also secured a number of orders from civil aviation and public security departments in the Philippines, Indonesia and Malaysia. "Notably, our overseas forays are also of benefit to Chinese companies as well," he said, "With more Chinese enterprises tapping opportunities in BRI regions, there is a huge need for communication services to maintain contact with offices at home and that's where we can offer help," Wu said. In Pakistan's Gwadar Port, for instance, smooth communication could be hard to achieve due to weak infrastructure there. The problem could be solved if the area has a well-established satellite communication network. Shi Guilu, vice-president of All-China Federation of Industry and Commerce, pointed out that with the BRI being promoted on a bigger scale and at a higher level, private businesses are playing an increasingly "irreplaceable" role. "Major State-owned enterprises are better in leading big projects while private businesses are more flexible," Shi said.